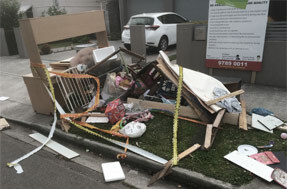 Affordable Cronulla Rubbish Removal Service. Home and Commercial. Prompt & Professional. Call Now! With only so much time in a day, there is only so much you get done by yourself. When it comes to rubbish removal, and disposing of unwanted clutter around your Cronulla property, this couldn’t be more true. After all, who wants to spend all weekend making trips to and from the dump? The good news is that a quick call to Same-Day Rubbish Removal is all it takes. The value and experience we offer is the best in the business. 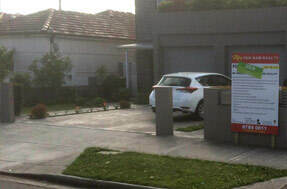 Ask about same day service for your property in Cronulla or the Sutherland Shire. Our experienced team will hand load all your junk and unwanted items into our trucks ready for recycling and disposal, and do so quickly and affordably. What would normally take you a whole weekend to clean up, we can have disposed of in an hour or two. With over a decade in the waste removal business, we understand that timing is everything. We understand that the last thing you want is unpleasant piles of junk and unwanted items lying around your Cronulla home or business for weeks on end. Ask us about same day service, so we can promptly pickup and dispose of your rubbish without fuss, leaving you with a clean slate and minimal downtime. We can affordably dispose of almost any type of rubbish from your place at Cronulla or elsewhere within Sutherland Shire. From old lounges and beds to fridges, freezers, washing machines and white goods, to old bricks, pavers, timber and green waste we can promptly dispose of the lot. Anything else? Just ask our friendly team who will be happy to help with a free quote. We get it. You don’t want to spend a fortune on rubbish disposal. It makes sense. On the other hand, you don’t want to book up a junk disposal job only to have no one turn up! We take pride in delivering friendly and reliable waste removal service at the lowest price. No matter where you’re based in Cronulla, Sutherland or elsewhere throughout Sydney, give us a call, and we’ll be happy to assist. Situated in the heart of the Sutherland Shire, the suburb of Caringbah is a lovely home for many Sydney residents. Being on the southern side of Botany Bay, a lot of people seem to think it’s a long way out of Sydney, but they couldn’t be more wrong. With easy access to the city as well as being just outside of the Royal National Park, it could be argued that Caringbah is an ideal living location. 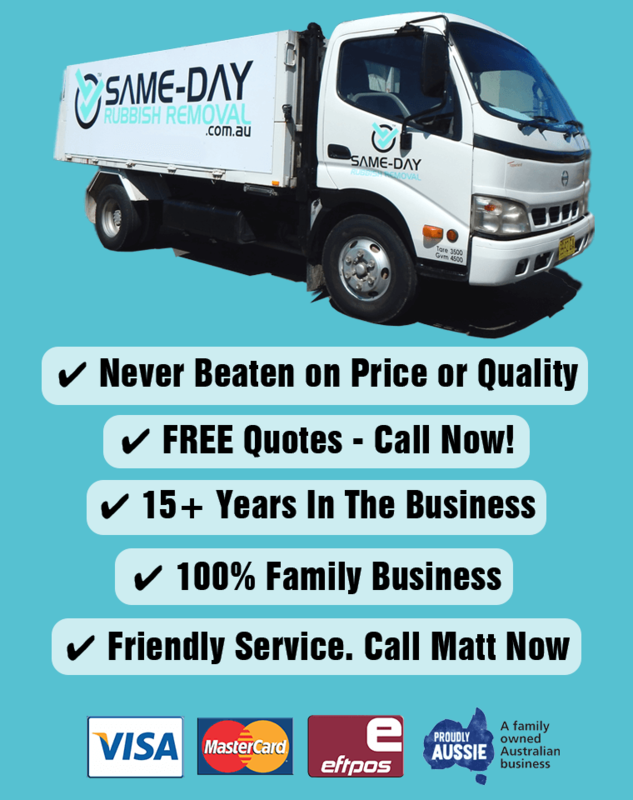 Same-Day Rubbish Removal offer their same prompt service here as they do Cronulla. You won’t find a cheaper service in the area, so give our friendly and experienced team a call now. With easy access to the Princess Highway, you’re never too far away from anything when you live in Miranda. It also means the area is a popular spot for shoppers all around, even from down in Wollongong! With a population of over 15,000 people, we find that there’s often junk disposal jobs that need to be done. While lucky to have a little more space than some people who live in Sydney’s CBD, you don’t want to let your home or business get overcrowded with old furniture or appliances. Whatever it is that you’re looking to get rid of, a local Same-Day Rubbish Removal team is ready for your call.